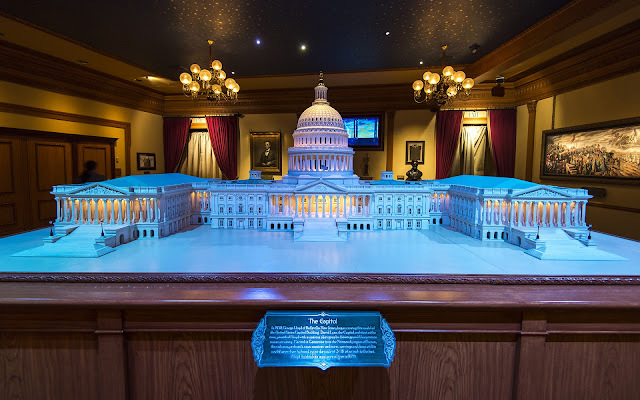 In the back of the Main Street Opera House, near the doors to Great Moments with Mr. Lincoln, there is an incredible architectural model on display. It is a 3/16" to the foot scale representation of the United States Capitol Building, carved out of actual Caenstone from France, built to exacting specifications, and carried out to incredible likeness. 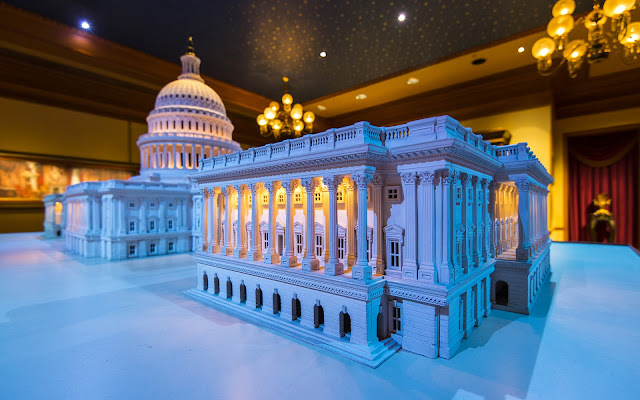 The sculptor, George Lloyd, relied upon actual blueprints of the real building, as well as photographs and drawings to ensure the greatest accuracy, and his endeavor required three years to complete. Ultimately, though, it was a resounding and highly impressive success. So I thought this would make for a great model for this year's July 4th post--a testament to American endurance, creativity, and determination! Happy Independence Day, everyone! 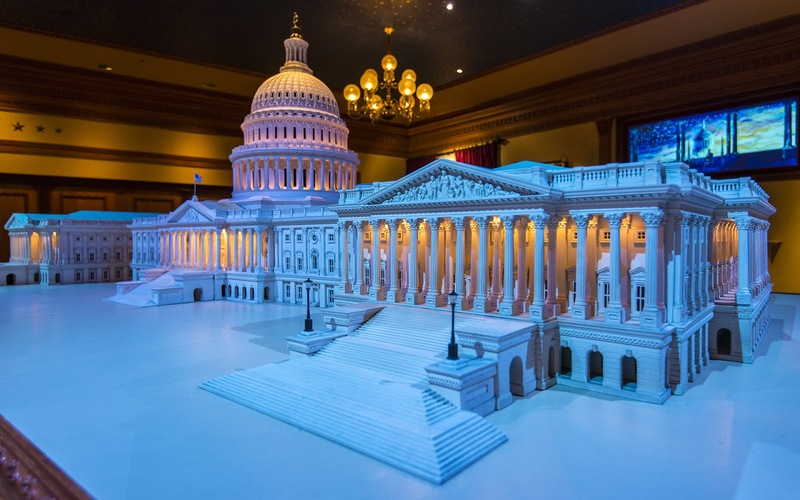 A model of the U.S. Capitol Building. Looking at the model from the front, at an angle. This is the other angle from the opposite corner of the building.